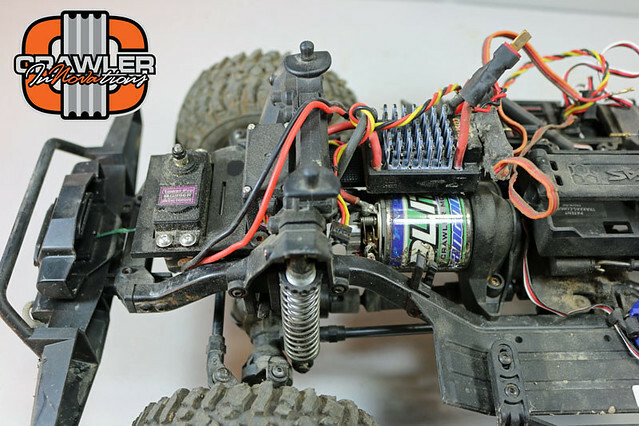 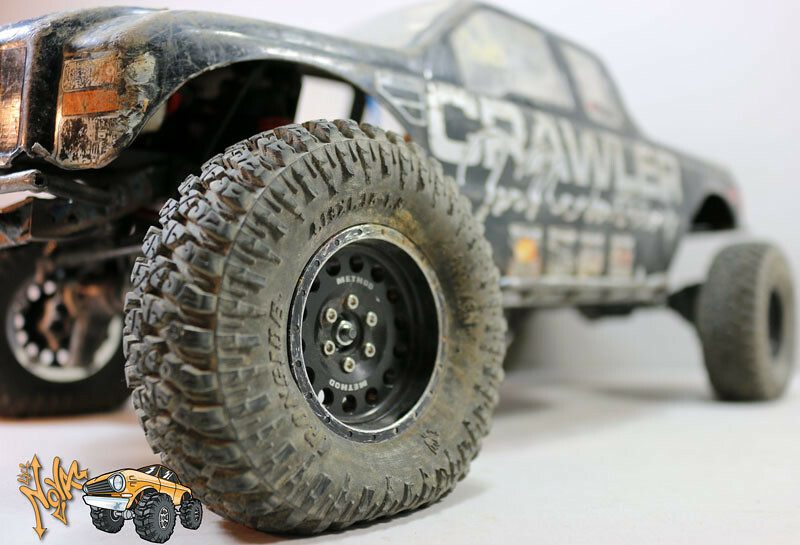 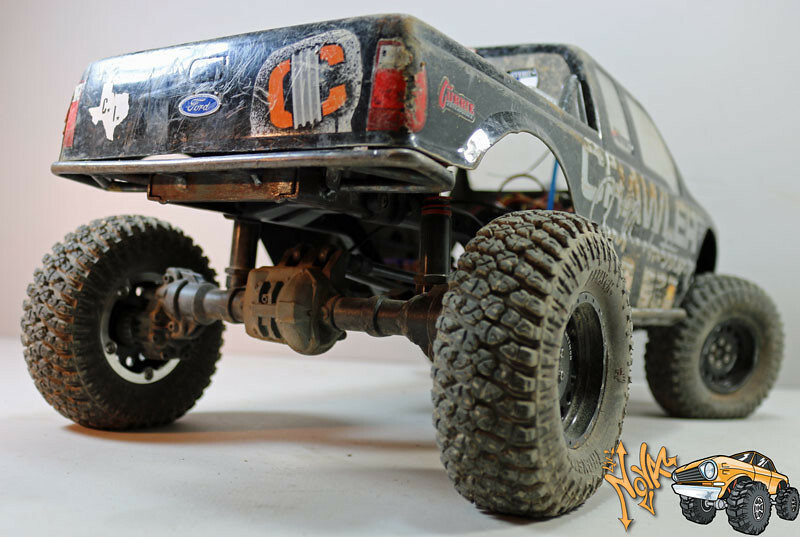 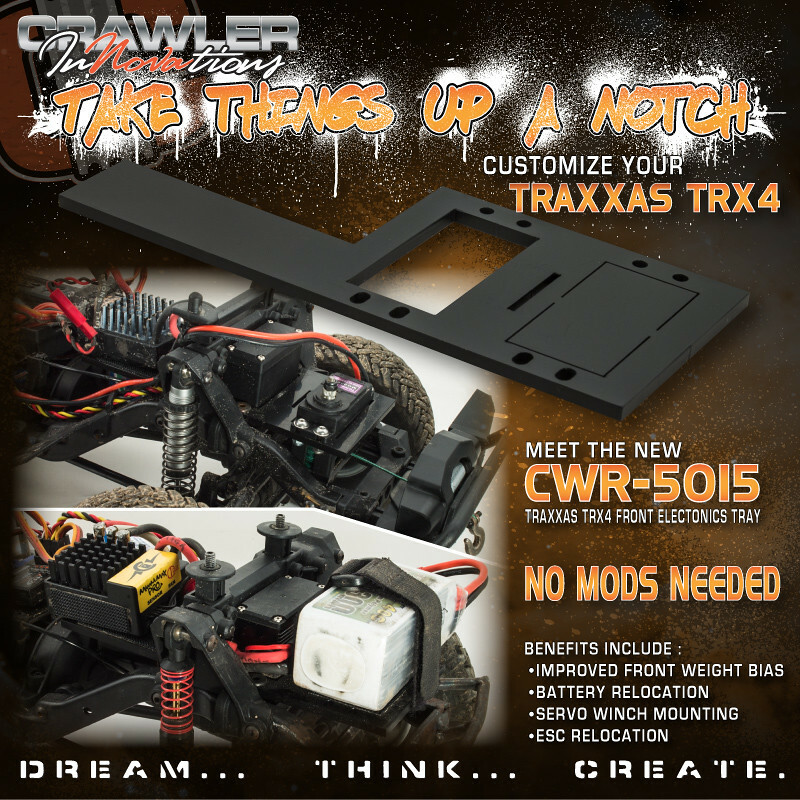 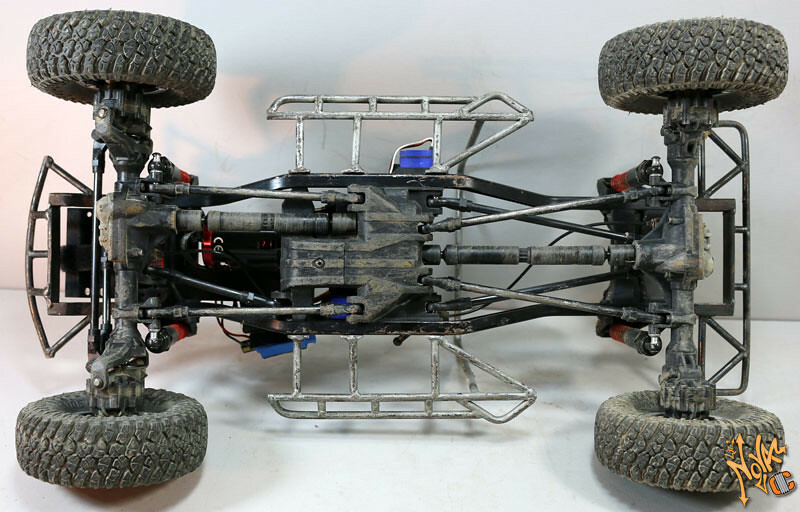 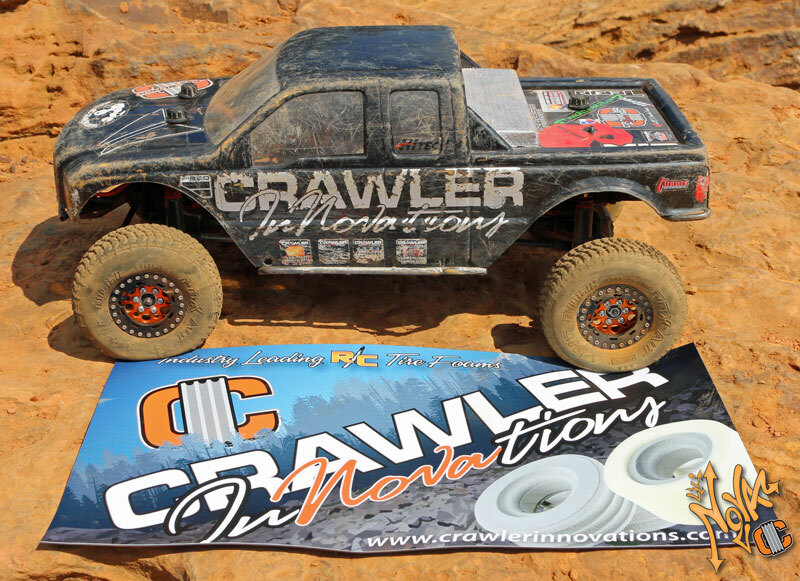 Crawler Innovations bolt on electronics tray for the front of the Traxxas TRX4 scale crawler. 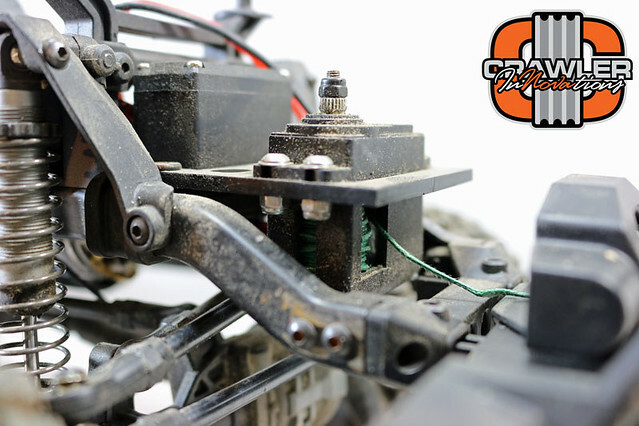 The tray is cut from 1/8th black delrin for strength and durability. 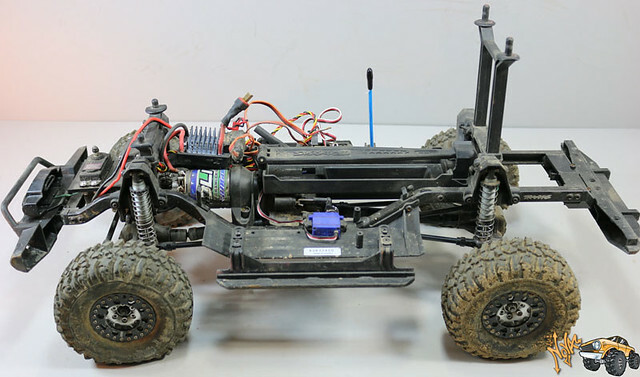 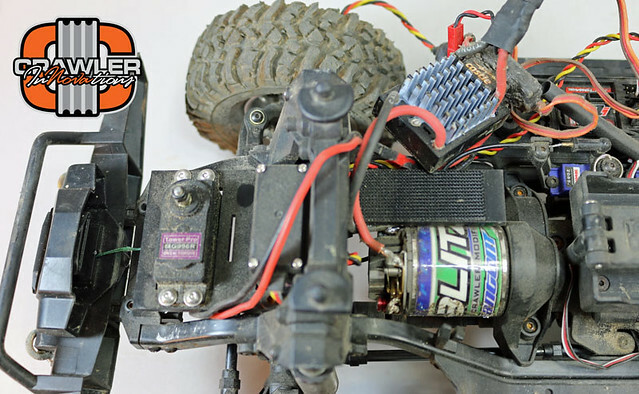 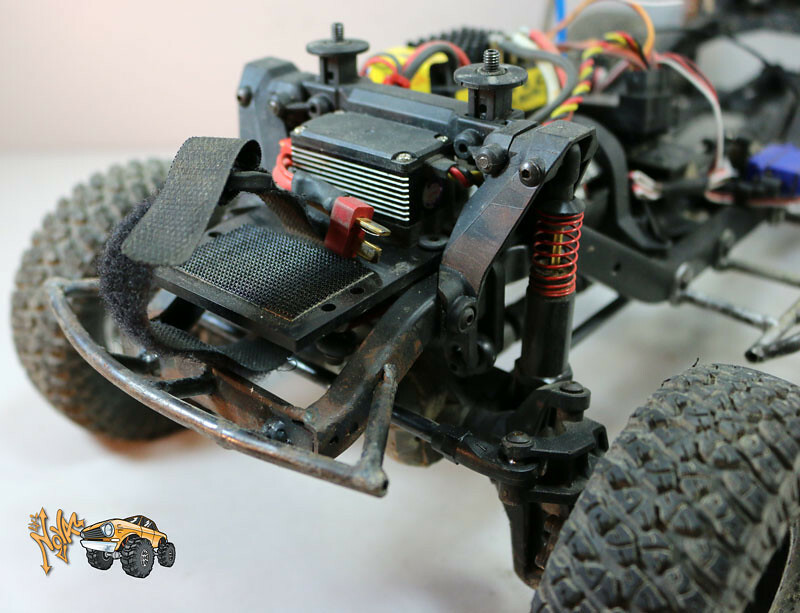 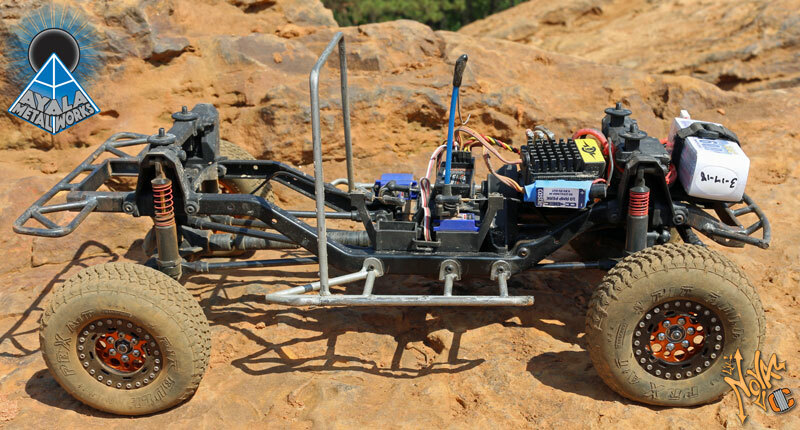 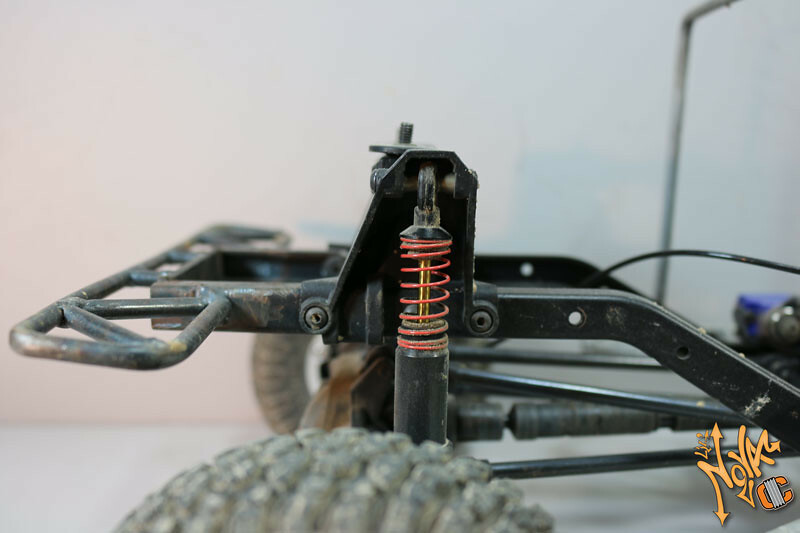 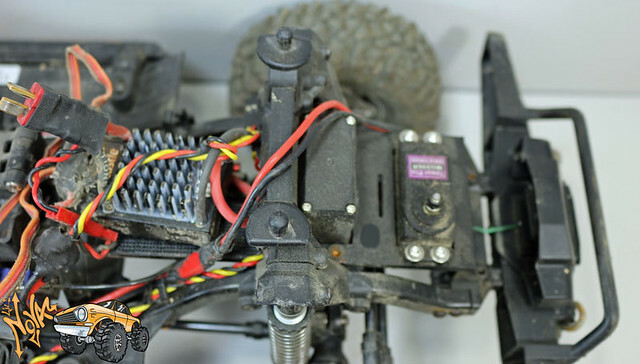 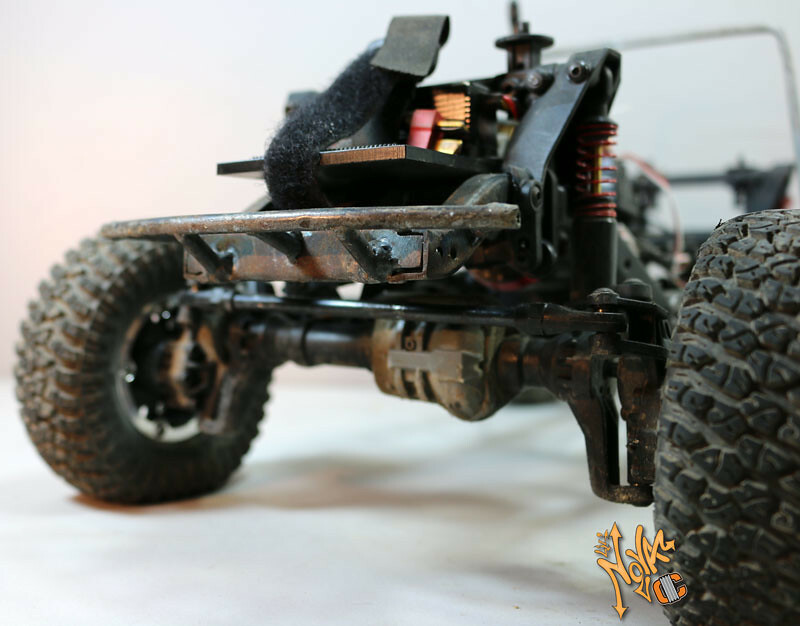 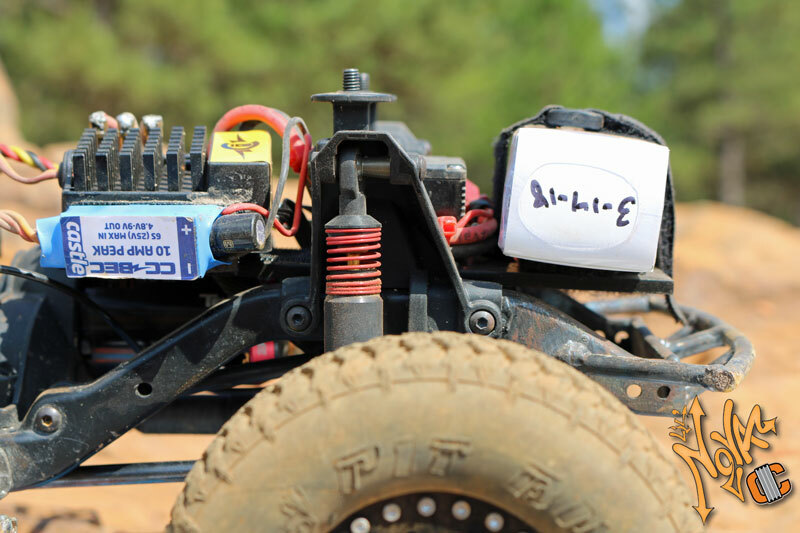 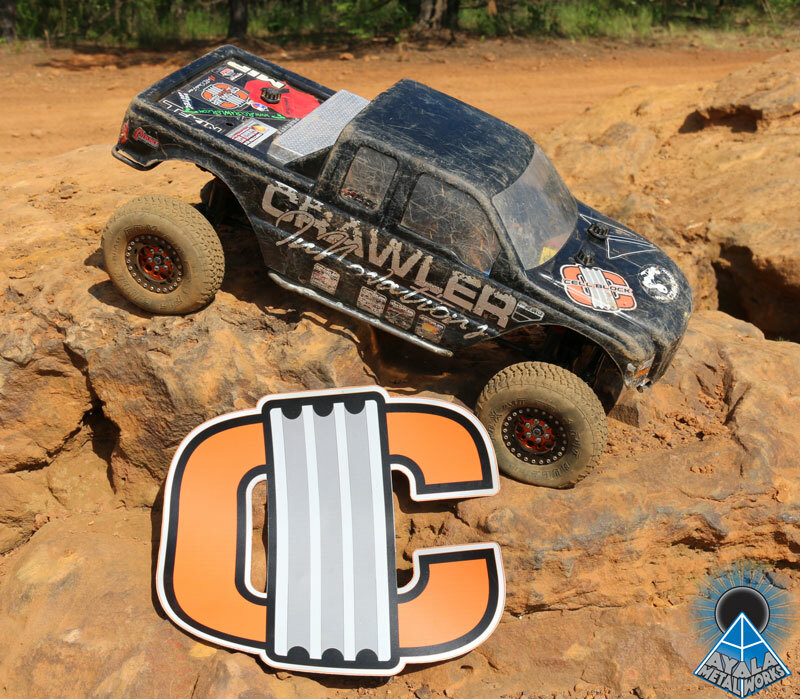 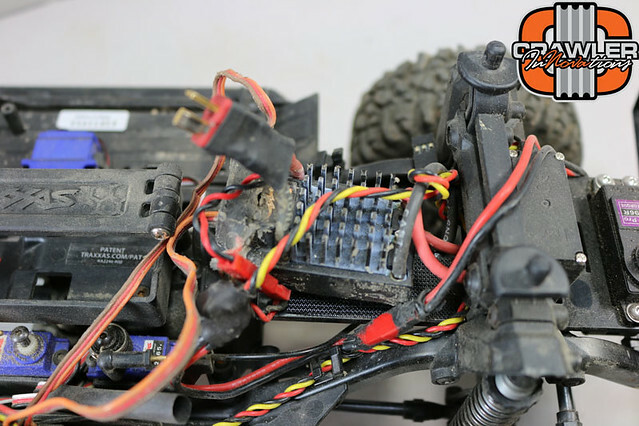 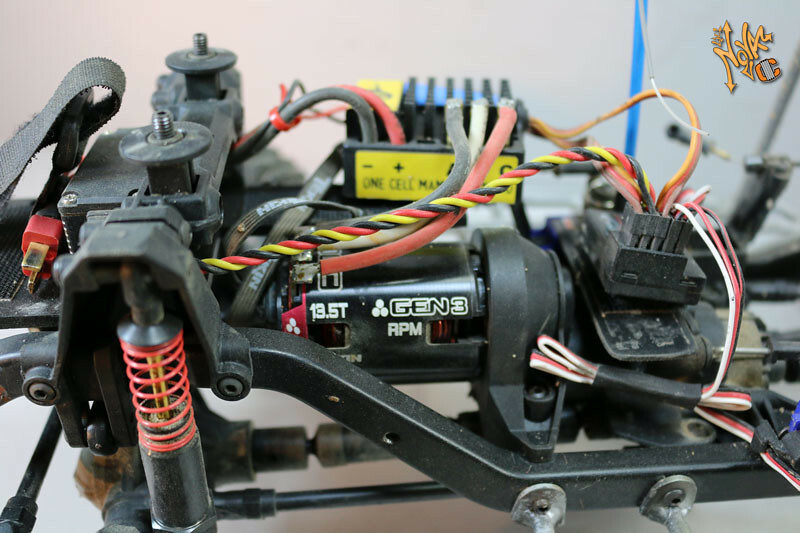 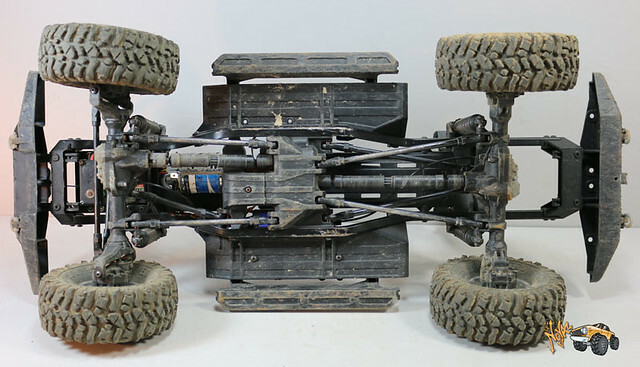 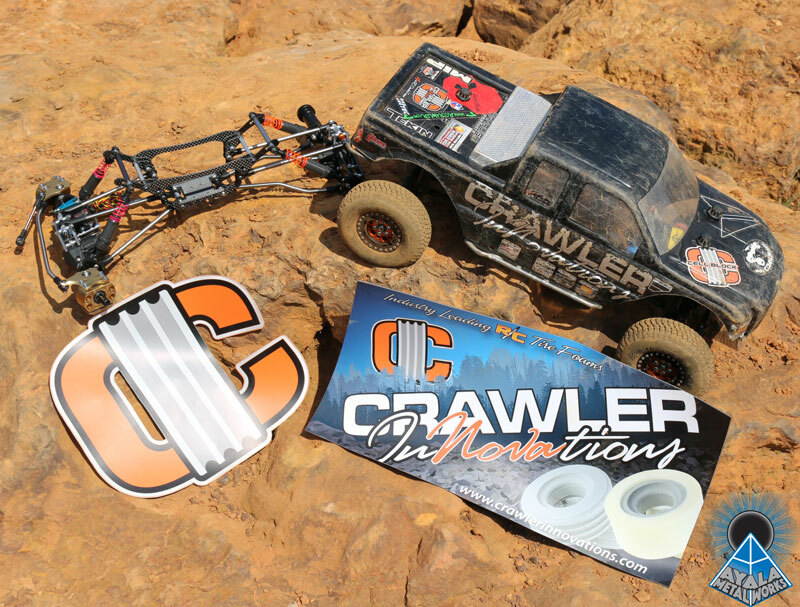 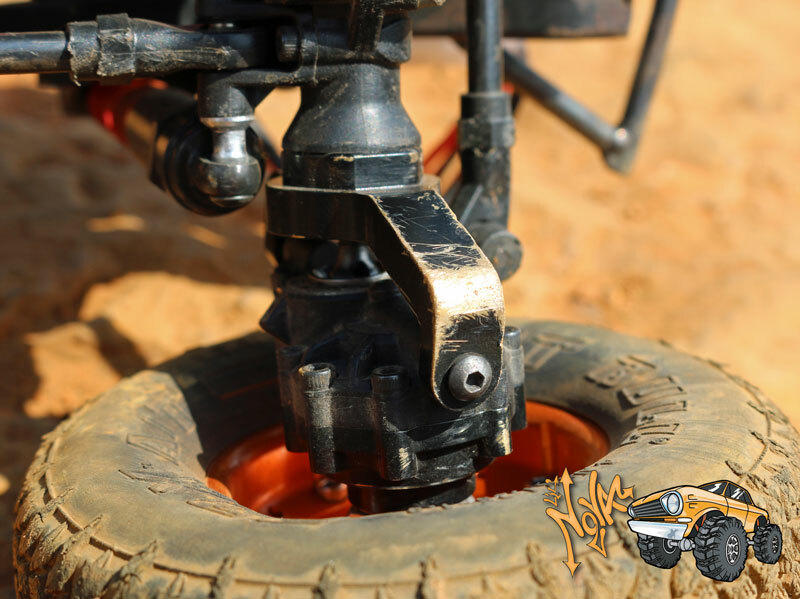 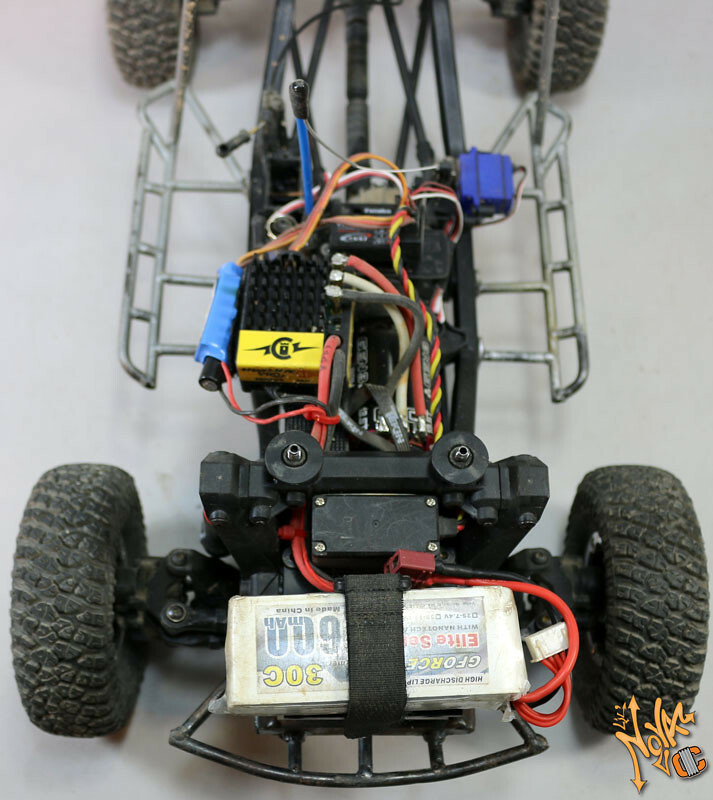 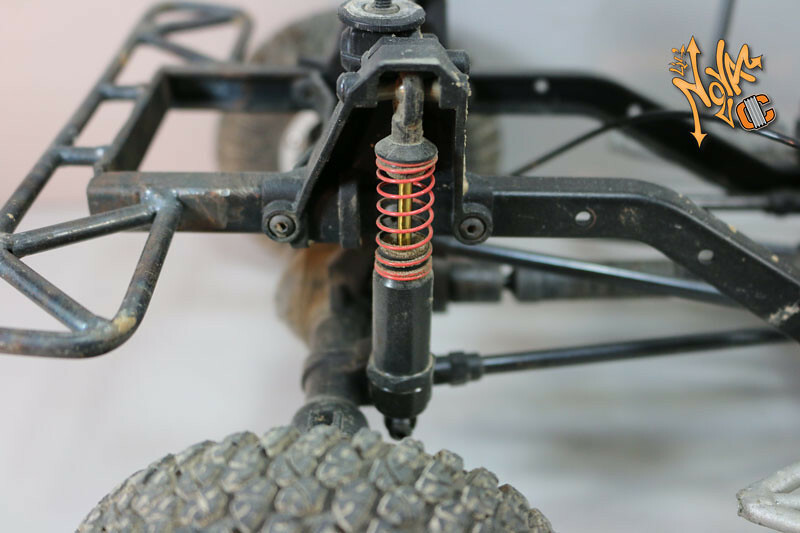 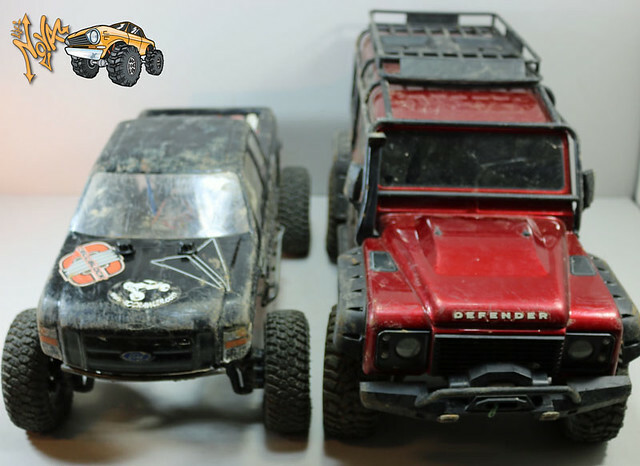 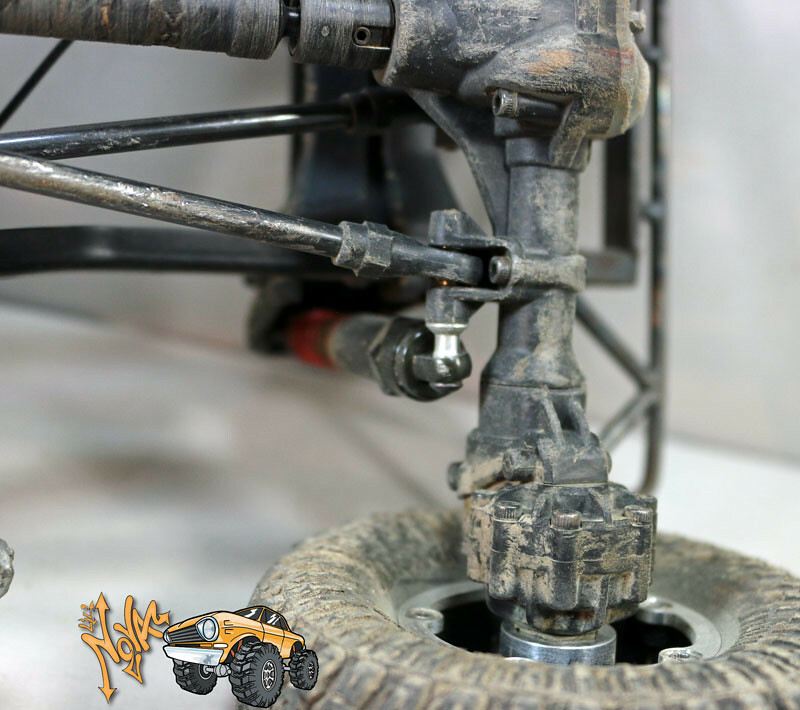 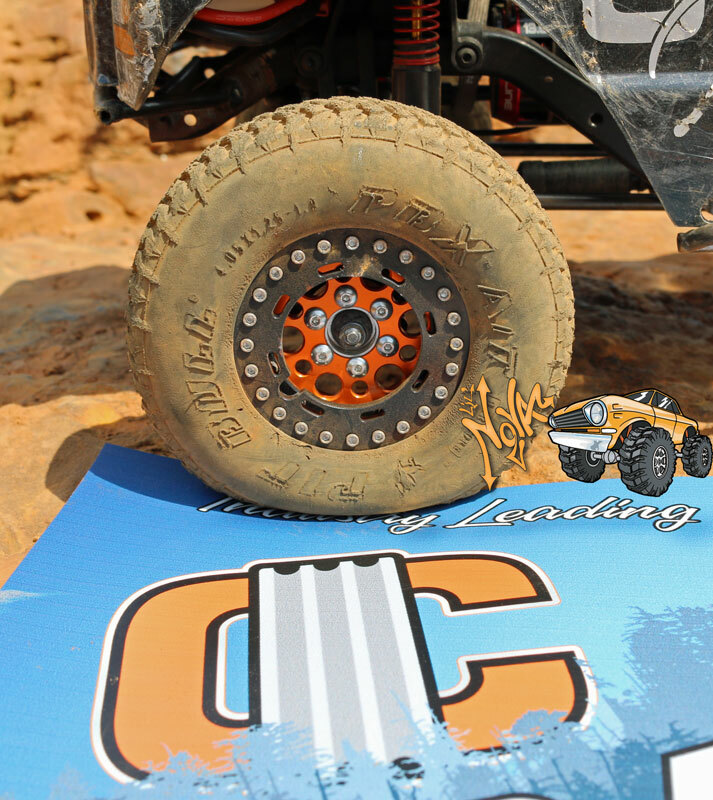 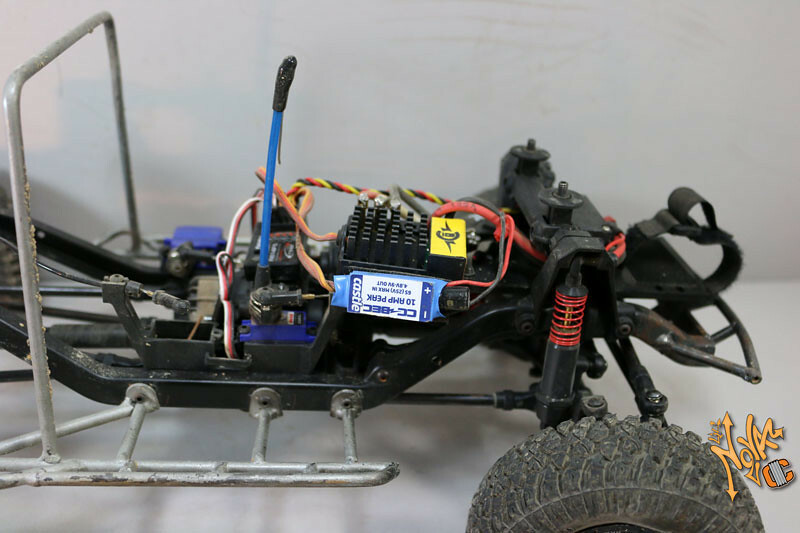 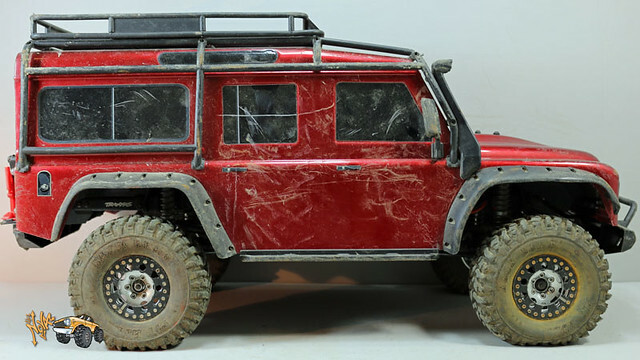 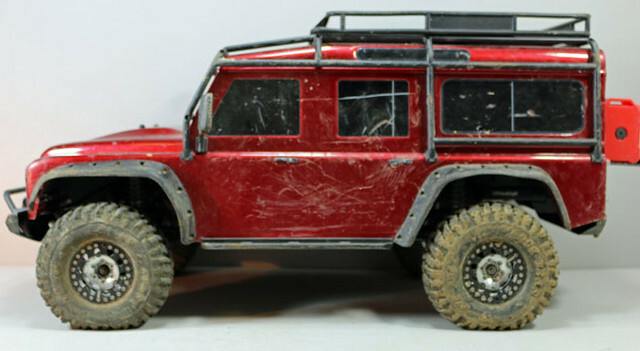 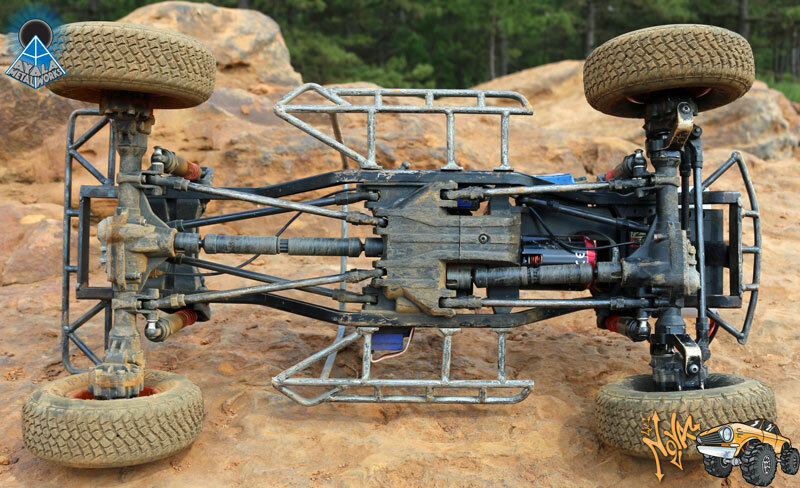 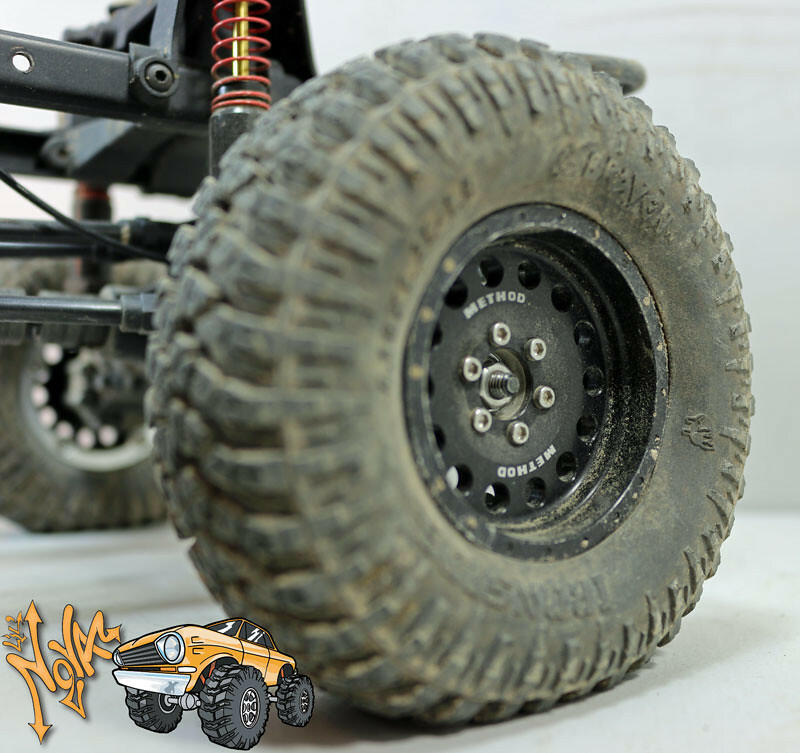 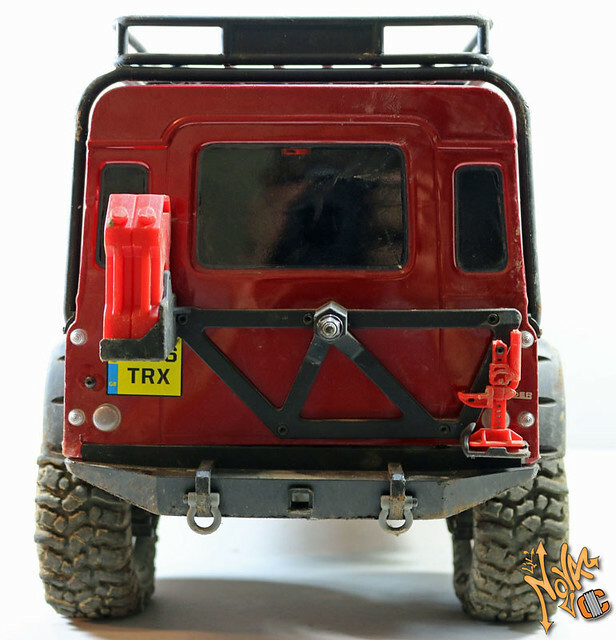 The purpose of the tray is to move the electronics to the most forward location to increase front weight bias for competition RC rock crawling. 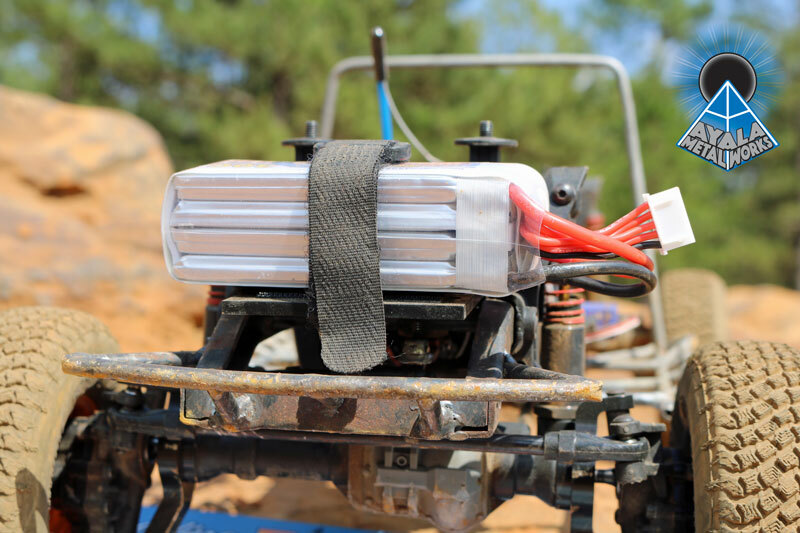 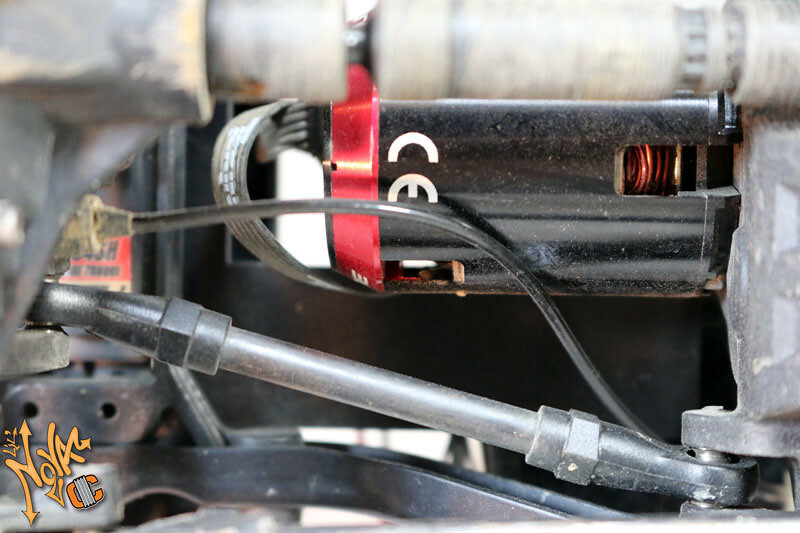 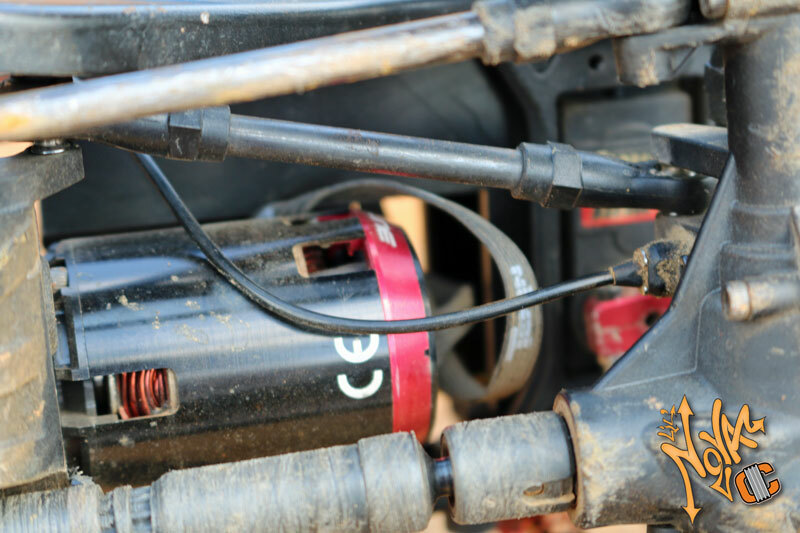 The front part of the tray can serve as either a small battery mount, or the knock out plate can be removed to allow for a standard size servo winch. 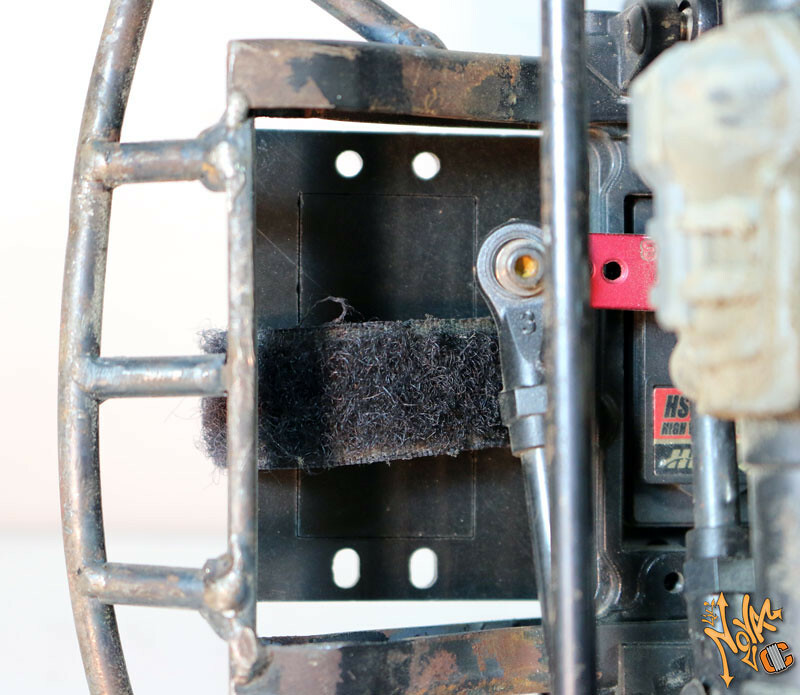 The electronics plate is cut to accept a standard Velcro battery strap. 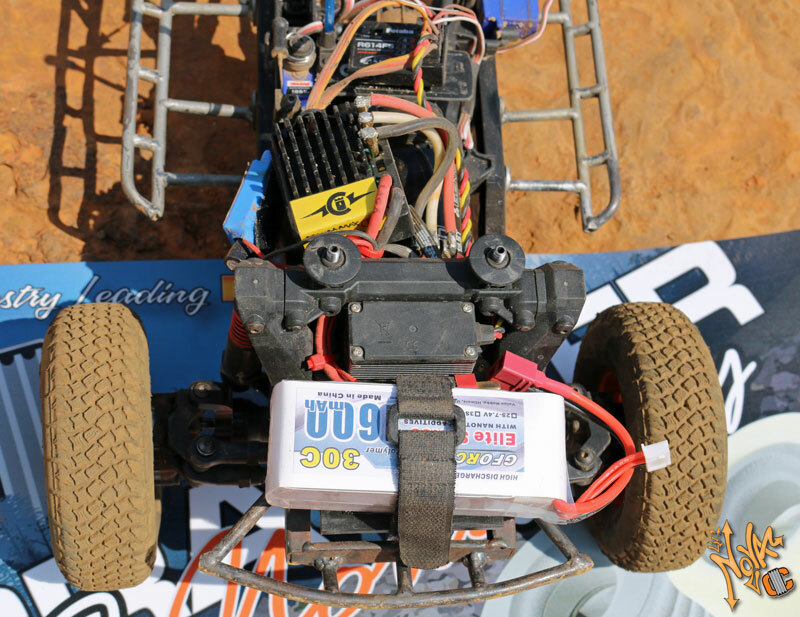 The rear of the plate extends towards the transmission along side the motor to allow for esc or receiver mounting. 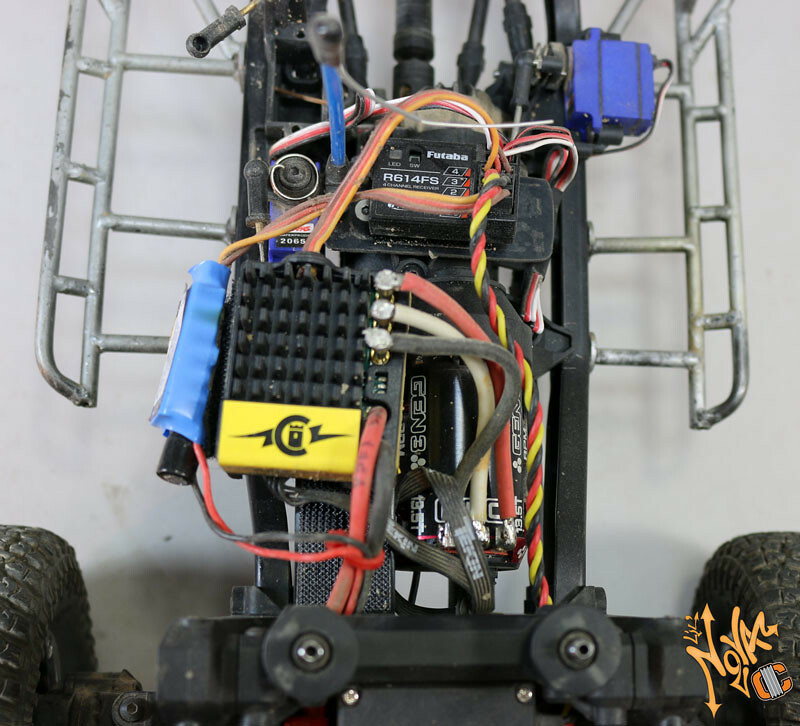 This electronics plate installs by removing the factory servo screws, feed the steering servo lead through the opening in the plate, and then re-install the factory bolts. 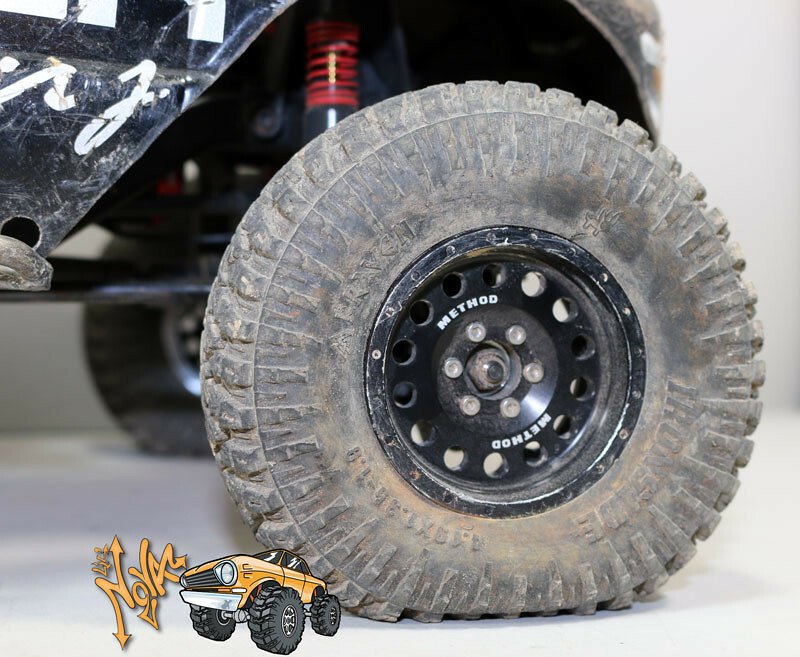 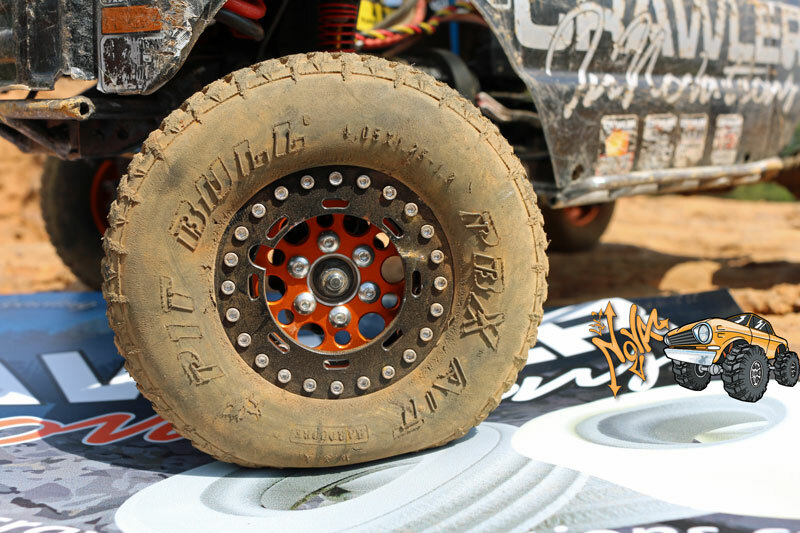 This product is made in the U.S.A.
More wheel, tire, and foam goodness. 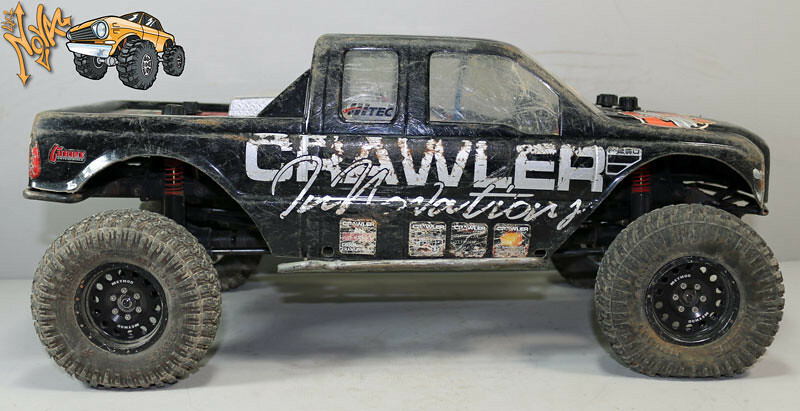 Same truck, no real updates to report other than the wheel tire and foam change. 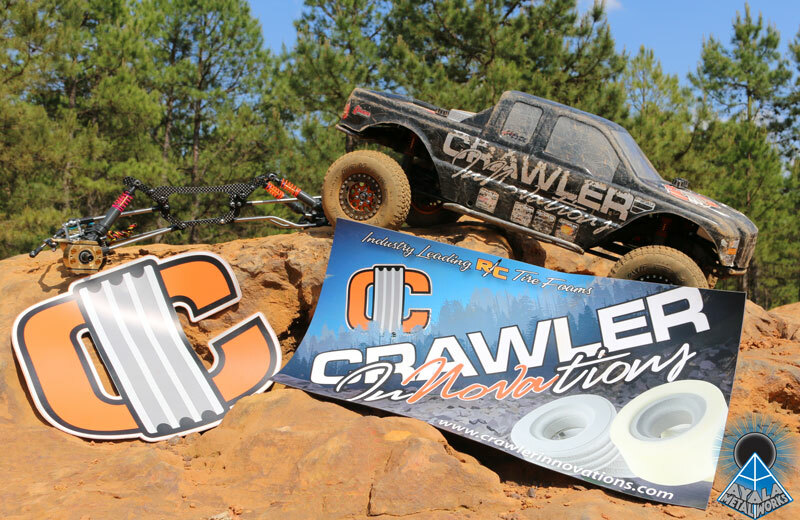 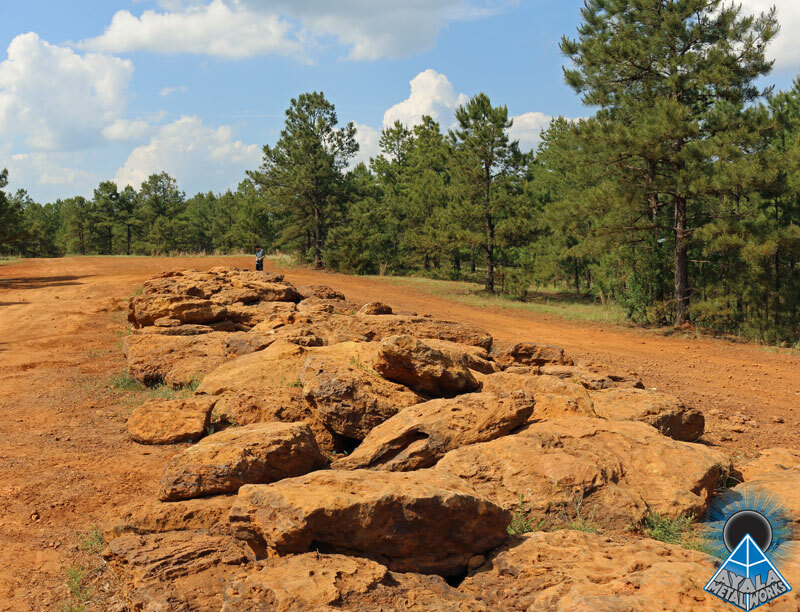 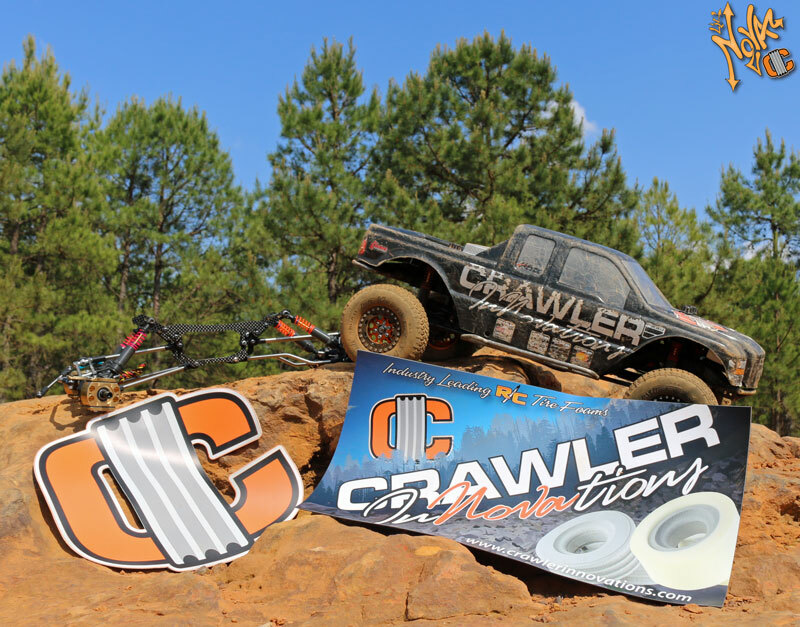 On to some current pictures taken at Barnwell Mountain ORV park.